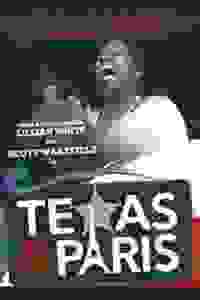 Based on true events, 'Texas in Paris' is the musical journey of a man and a woman — one white, one black – invited to France to perform at the Maison des Cultures du Monde. They have never met, have no professional singing experience, and face the challenge of working together and co-existing in an unfamiliar world. Apprehensive of each other, they struggle with preconceptions but forge a surprising spiritual bond that transforms their on-stage performance and their lives.